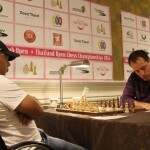 11 players are tied for the lead after Monday’s third round of the Bangkok Chess Club Open, South-East Asia’s strongest tournament of 2016, but defending BCC Open Champion Nigel Short is not one of them. English Grandmaster Short’s title hopes are in tatters after the third round when he was beaten on the counter-attack by previously unheralded Vietnamese 21-year-old Hoang Son Dang. 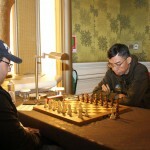 FIDE Master Dang now joins 6 Grandmasters and 3 International Masters, along with one other FIDE Master, as co-leaders. 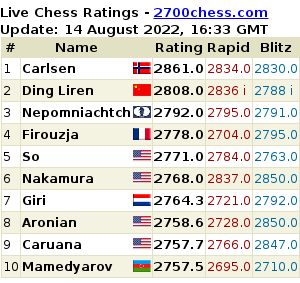 The leaders include 2014 BCC Open Champion Paco Vallejo – who has already needed 215 moves to win 3 marathon games – and US rising star Awonder Liang, 13. 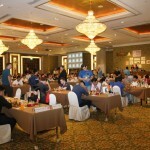 Monday was the tournament’s first and only day with two rounds for the 325 players from 43 countries who are competing in the 16th Bangkok Open tournament, held in the centre of Bangkok at the Dusit Thani Hotel. 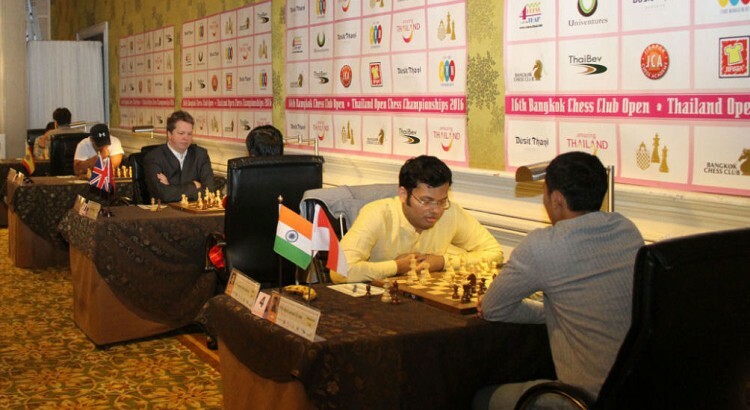 The third round was also a great one for local hope Boonsueb Saeheng, one of only two Thai players who shared the lead with a perfect score after the second round. In his third game Saeheng was under extreme pressure playing against Greek Grandmaster Stelios Halkias but hung tough to draw and stay within striking distance of the tournament lead. Halkias and Short were not the only top seeds to falter in the third round. 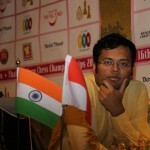 German Jan Gustafsson, the 2011 Bangkok CC Open Champion, was well held by India’s 13-year-old rising star Kalyan Arjun. 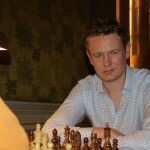 The sensation of the second round played earlier on Monday was the loss by English Grandmaster Stephen Gordon to Indonesian 25-year-old Jenius Hakiki. In a position where he was the only player pushing for a win, Gordon lost on time, just one move before the time control. Round 4 of the Bangkok CC Open begins on Tuesday at 2pm at the Dusit Thani Hotel and offers free entry to spectators.